Smoke billows from Deer Park plant on March 18, 2019. HOUSTON - Are you concerned about the air quality in your area following fires at local plants? Here are resources where you can get information on the air quality in your area and report issues. The Texas Commission on Environmental Quality’s website has air quality and monitoring information. You can see the daily air quality forecast, index, pollution levels and ozone levels. You can also make an environmental complaint using the site or by calling (888)-777-3186. You can make a complaint here. Galveston County: Pollution Control Division at (409) 938-2251. Houston: Bureau of Pollution Control and Prevention at (832) 393-5730. Harris County: Harris County Pollution Control Services Department at (713) 920-2831. KPRC called the Harris County Pollution Control Services Department and a representative we spoke with said when a report is made, an investigator is sent to the location where bad air quality is reported and tries to figure out what’s causing the smell. We're told an investigator will contact the people who made the report following the investigation. 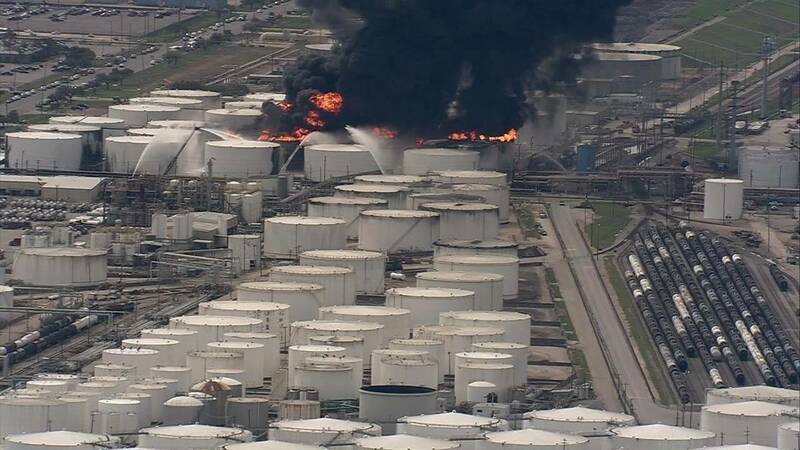 The Harris County Pollution Control Services Department tells KPRC at least one investigator is on the scene at the Deer Park fire. The federal agency in charge of air quality -- the Environmental Protection Agency (EPA) -- has a website with a form you can fill out to report environmental violations. This is where to file a complaint with the EPA. You can also contact its Houston office location and make an air quality complaint at 281-983-2100. When you call the EPA Houston laboratory, you can let them know that you want to make an air quality complaint and they will transfer you to the appropriate department to make a complaint.